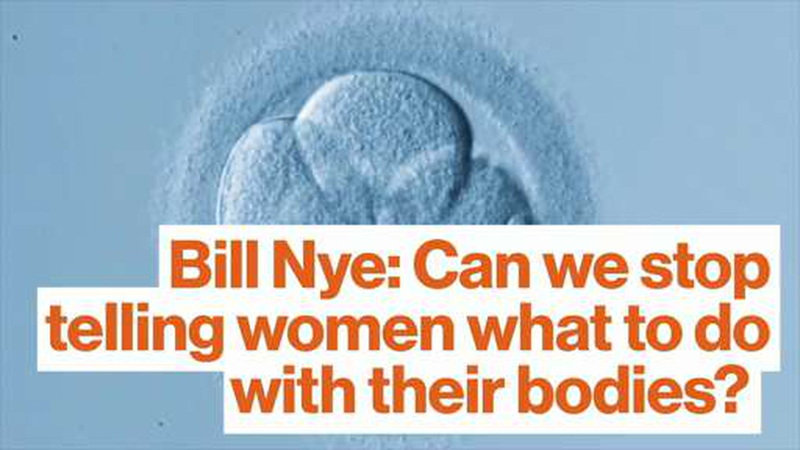 Bill Nye the Science Guy breaks down the abortion "debate" very nicely in just over 4 minutes. One of the things that Bill Nye does best is to make passionate arguments in a quiet, rather unassuming way. While he gets a tiny bit heated a few minutes into this clip, he turns that back around and comes to us from a much more level-headed post of view by the end. I know that many abortion debates turn into heat, and vitriol, and daggers from the eyes, but this is one that should at least get people talking. His point is solid: if you’re going to consider a fertilized egg as a human being, then, as happens to the vast majority of fertilized eggs, who will you imprison or sue when it doesn’t attach to the womb? It's dangerous territory. And speaking of laws based on ignorance, despite the Supreme Court ruling on Roe V. Wade in 1973, 11 states have passed legislation basically making abortion illegal or at least nearly impossible to access (and, in one state, making facilities and possibly the women who had the services pay for fetal burial. I’m not kidding). In addition to the final month of the presidential election, I suspect this conversation will be had many, many times for the foreseeable future. Meanwhile, I’m with Bill — facts and science, please. Watch the video here (or read the transcript below).